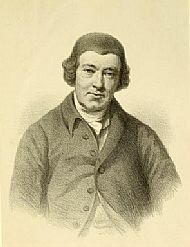 Simon Fraser (1727-1810) was the son of John Fraser, a merchant in Inverness. Simon became a merchant in Gibraltar. Some later sources describe him as the Commissary there and, certainly, government contracting in Gibraltar was considered particularly lucrative [Gordon E Bannerman, Merchants and the Military in Eighteenth-Century Britain (London: Pickering & Chatto, 2008), 64]. In the 1760s, while still in Gibraltar, he purchased the lands of Borlum, south of Inverness, which he renamed Ness Castle. The Fraser interest in Guyana was in plantation Good Hope, acquired in 1795 when (Edmund) Thornton & (Simon) Fraser rescued the failing firm Baillie, Thornton & Campbell. By this date Fraser was ‘of Kings Arms Yard, Coleman Street, London’. In 1761 he married Margaret Wilson, in London, and the couple had two children - Simon [1752−93] and Marjory [1754−1851]. Simon was said to have had ‘an ineptitude for business’ and also objected to his father’s plan that he should begin his career as a clerk in the merchant house. 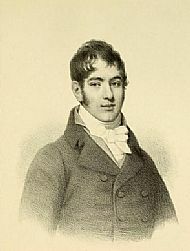 In 1790 is father agreed that he should go to Dominica to take charge of the firm’s interests there but he died not long after his arrival [Alexander Fraser, The Frasers of Philorth (Edinburgh, 1879), 210]. 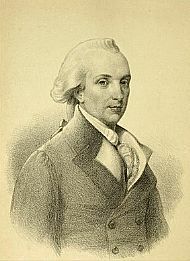 Marjory Fraser married Alexander Fraser, Lord Saltoun [1758−93]. 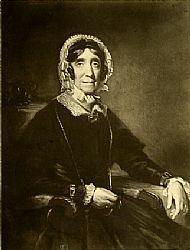 Marjory Fraser, Lady Saltoun [1754-1851] who received one third of the compensation for plantation Good Hope in British Guiana (and one third of the compensaton for plantation Castle Bruce in Dominica). Known to her servants as 'Ness Madgie'. The mercantile house of which [William] was head shared the ruin brought upon many similar establishments by the enactment of the abolition of slavery in the West Indian islands and dependencies, which the compensation of twenty millions granted by Parliament was bit a drop in the ocean to avert. However right in the abstract, it is very doubtful whether that measure has proved as beneficial to the negroes themselves as its promoters anticipated and desired, or whether a more gradual change might not have produced better effects upon their protéges, and less ruinous consequences to some of their fellow-countrymen; but these pages are not the proper place in which to discuss that question. 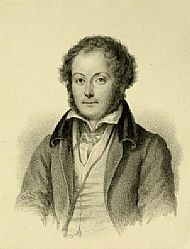 (Above) William Fraser [1791-1845] - known to the servants as "slave Willie"
There is a marked contrast between the description of William Fraser in the family history, The Frasers of Philorth, privately and lavishly published in 1879, and the impression he created on one of the servants at Philorth, 10-year old Christian Watt. His character may be given in a very few words. He never made an enemy. Robust and active, he delighted in field sports and athletic exercise, while the kindness of his disposition and the geniality of his temper made him a very general favourite. A good husband and father, and a warm friend, there were many that sorrowed for this comparatively early death. The Laird's younger brother was not liked in the Broch [Fraserburgh]. He was known as "slave Willie". Along with a blackguard called Neilson from Liverpool he had taken part in the vile traffic of selling human beings in America and buying them in Africa. Willie did the books and Neilson did the dirty work, and after this awful trade was abolished, both landed in the gutter where they belonged. I can mind on Willie; he died after I worked at Philorth first. The mannie Neilson had several sons, all in the Army, where a smart uniform can make an erraster look like a gentleman until he opens his mouth. They used to shoot at Philorth, a lewd foul mouthed lot. The staff breathed a sigh of reief when slave Willie died first, he was Lord Saltoun's heir, and they had visions of him occupying Philorth with his vast brood. Christian Watt (ed David Fraser), The Christian Watt Papers (Edinburgh: Paul Harris Publishing, 1993), p. 39. In addition to William Fraser ('Slave Willie') the partners were Claud Neilson [1793-1872] and Neilson's cousins William Maxwell Alexander [1790-1853] and Boyd Alexander [1796-1861]. Neilson owned Ardanden (Cardross, Dunbartonshire) and the Alexanders were of Ballochmyle (Ayrshire). For family tree see Neilson (Ardanden) on Ancestry (subscription required). The partnership claimed for seven awards in St Vincent, one in Antigua, and one in Grenada [Catherine Hall etc, Legacies of British Slave-ownership (CUP, 2014], p.262] The authors rank this firm as fourteenth among th merchant houses receiving compensation in 1834. William Fraser's second son, the Hon David Fraser [1825-1906], was known to the servants at Philorth as 'Slavie Davie' [Christian Watt Papers].